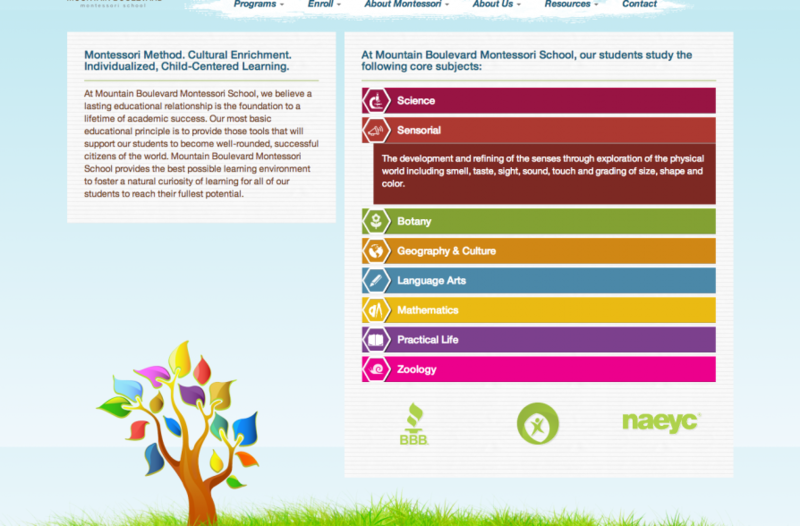 A full WordPress conversion for these sister websites, Mountain Boulevard Montessori and Danville Montessori School. 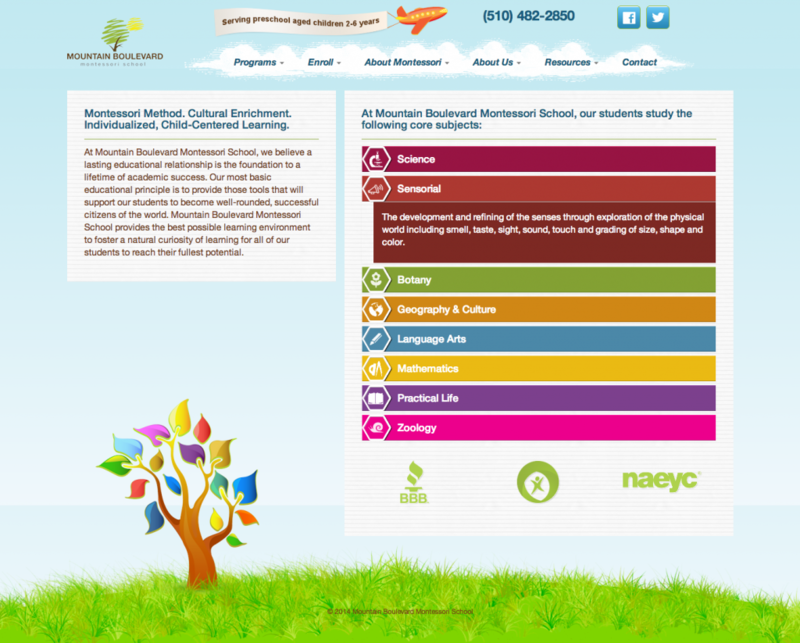 Their existing design had some markable improvements made to it and I then took it to the next level by making it responsive. 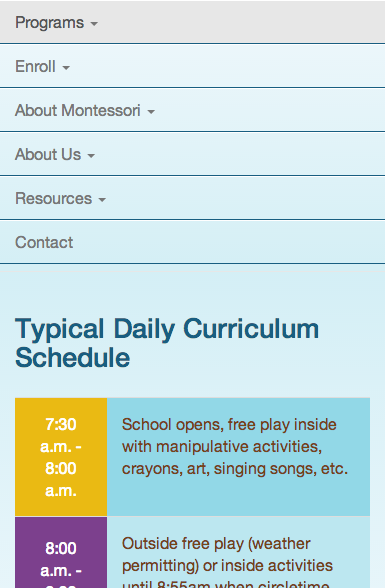 Custom admin content allows MB/Danmont Montessori to make changes to any and all content on the website through an intuitive and easy to use interface.